Every year in every league, a Rookie of the Year award is given out. For the National Women’s Soccer League, there’s three prime candidates that are up for the award. One already plays for the U.S. Women’s National Team. While the other two finalists could be playing for the team soon. The finalists are Mallory Pugh forward for the Washington Spirit. 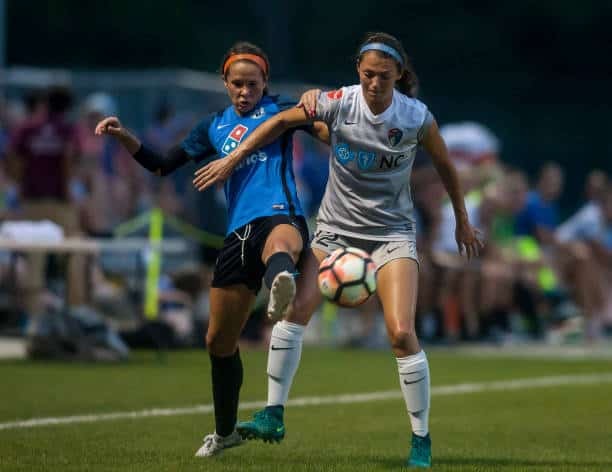 Jane Campbell goalkeeper for the Houston Dash, and Ashley Hatch forward for the North Carolina Courage. Hatch was selected with the No. 2 overall pick in the 2017 NWSL College Draft. Jane Campbell wound up selected as the No. 15 overall pick in the same draft. While Pugh elected to leave the University of California Los Angeles to join the Spirit. Hatch leads the group with the most matches played this season, contributing in 22 matches. However, Hatch only has 13 starts to her name. As for The other two players, Pugh has appeared in 15 matches, starting 12 games. Campbell, has made 16 appearances this season in goal. However, even with her success, Hatch hasn’t broke into the senior USWNT squad’s regular rotation. 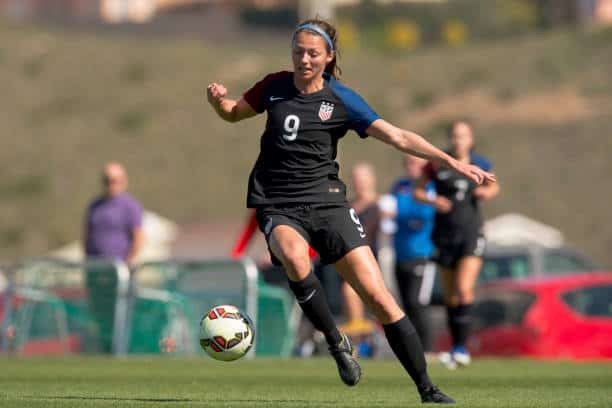 She has featured for youth squads, and most recently the U-23 team. She does have one appearance with the senior national team, in a friendly against Switzerland, on October 19, 2016. Pugh has become a regular part of the USWNT setup since after the 2016 Olympics, scoring six goals for the national team too. Even though Hatch might not have the popularity that Campbell or Pugh has, she deserves the Rookie of the Year honor. Hatch has been consistently good for the Courage this year. Who claimed the NWSL Shield Award for being first place in the NWSL. Hatch may also continue to add to her tally in the playoffs – which neither Pugh or Lavelle’s club’s made. Especially since Hatch, and the Courage made the Championship game she also has the opportunity to be crowned an NWSL champion. Although, to be fair, this is a regular season award. Hatch has brought a different style of attack to the Courage, and blends well with the other Courage attacking players, Jessica McDonald, Samantha Mewis, Lynn Williams and McCall Zerboni. Earning the trust of Courage head coach Paul Reilly. Giving her a great chance at being a regular starter next season for the Courage. Also, USWNT head coach Jill Ellis should pay attention to Hatch. She could potentially be a game-changer and a spark that the team so desperately needs. If Hatch was on the roster for the 2017 SheBelieves Cup or Tournament of Nations 2017, there’s a chance the outcome of the tournament could have been different. Certainly, Hatch should be in 2019 FIFA Women’s World Cup qualifying matches. It’s time for Hatch to be a popular name in not just the NWSL, but in women’s soccer in the United States as a whole. Maybe what what starts that trend, is with the 22-year-old winning the NWSL Rookie of the Year.